Kier, the FTSE 250 property, residential, construction and services group, has announced that it has entered a conditional agreement to buy French repairs and maintenance business Mouchel. Mouchel provides advisory, design, project delivery and managed services to the highways and transportation, local government, property, emergency services, health, education and utilities markets in the United Kingdom, the Middle East and Australia. Kier has agreed to acquire Mouchel for £265 million in cash, to be financed by a £340 million fully underwritten rights issue. Mouchel reported group revenue (including share of JVs) of £616.6 million and underlying operating profit of £27.7 million for the year ended 30 September 2014. Revenues for the three months ended 31 December 2014 increased by 38 per cent. compared to the same period in the previous year. The Acquisition is anticipated to deliver pre-tax cost synergies of approximately £10 million in the financial year ending 30 June 2017, with integration costs of the Acquisition expected to be approximately £17 million. The Acquisition creates an Enlarged Group with a pro forma combined order book of £9.3 billion (as at 31 March 2015), comprising Kier’s order book of £6.5 billion and Mouchel’s order book of £2.8 billion. Fusion Corporate Partners are pleased to announce the completion of the sale of two energy management services companies (and the third Fusion completion in the last month). Fusion Corporate Partners acted as corporate advisor for the vendors of both companies. The Fusion team was led by Paul Kelly, director at Fusion. energyTEAM, a privately owned company based in Burgess Hill, West Sussex, has been running for nearly 40 years. Led by joint managing directors Chris Best and Brian Rickerby, energyTEAM has over 800 UK clients including public and private sector organisations. The company provides an integrated and fully managed energy management service comprising energy procurement and energy services. energyTEAM employs 60 staff. The deal was completed on Thursday 9th April 2015. 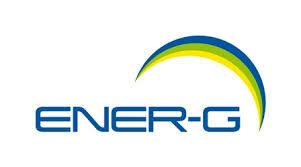 ENER-G Procurement, owned by Salford-headquartered international renewable and sustainable energy specialist ENER-G Group, is based in Studley, Warwickshire. ENER-G Procurement was formed through the merger of the energy procurement arm of CMR Consultants and Utility Auditing Limited. Both companies were acquired by ENER-G Holdings plc in 2006 and 2007 respectively. ENER-G Procurement’s clients range from single energy-intensive sites, to large multi-site groups. ENER-G Procurement employs 52 staff. The deal was completed on Friday 10th April 2015. Both companies were sold to Warrington based procurement services firm Inprova Group. The deals have been funded through a debt facility from Barclays. Investment from private equity house LDC is fuelling Inprova’s growth plans, which consist of a UK and international acquisition strategy focused on technology and category expertise that will complement the existing business. The terms of the deals are not being disclosed. “It is highly unusual to sell two companies to the same acquirer at almost the same time. Both deals attracted multiple offers from prospective acquirers in two separate competitive processes. However, both vendors selected Inprova Group as their preferred choice,” said Kelly. “Neither vendor knew who the other was and, beside the normal complications of any sale process, the Fusion team also had to ensure confidentiality was maintained at all times. I am proud of the way the team managed these processes and I am delighted at the successful outcomes for both of our clients”. Inprova Group is based at Olympic Park, in Birchwood, Warrington and has been set up by the founders of purchasing firm CEL Procurement, which has been providing procurement services since 1987, and was rebranded as Inprova in preparation for the group’s ambitious growth strategy. The company launched with Bob Holt as its chairman. Mr Holt drove the expansion and stock market flotation of property repairs giant Mears Group. The Fusion Team has completed over 80 UK and cross border Business Support Services, Energy & Environmental Services, Media, Business Information & Technology, Exhibitions & Conferences, TV Broadcast & Production, Healthcare and Online Commerce transactions. Fusion specialises in the sale of middle-market companies with transactional values ranging from £5 million to £100 million. The sales of energyTEAM Limited and ENER-G Procurement Limited are our 7th and 8th sales of energy management companies. Energy Assets Group plc, a provider of I&C gas metering services in the UK, has acquired SA Gas Engineers Limited, an accredited meter asset manager and a UK expert in complex I&C gas engineering and specialist siteworks projects. Established in 1992 and based in Nottingham, SA Gas provides services both upstream and downstream of the customer’s meter. The company has a wealth of experience and expertise in all types of I&C gas related engineering projects. In the year to 31 July 2014 SA Gas generated turnover of £2.9m. The transaction consideration comprises an initial cash payment of £3.4m, 222,108 shares in Energy Assets Group plc, with a market value of £1m, which are subject to the sellers of SA Gas remaining with the Group during a restrictive period of two years, an earnout consideration of up to £0.5m contingent on the future profitability of SA Gas and an amount for the completion cash balance of SA Gas which will be determined on the basis of completion accounts. The cash consideration is also subject to post-completion adjustment by reference to the actual completion working capital of SA Gas. Cash consideration will be funded from a combination of cash reserves and existing loan facilities. Bunzl plc, the international distribution and outsourcing Group, today announces that it has completed the acquisition of two further businesses in Spain and Canada. The Company has acquired Quirumed, S.L. in Spain. Based in Valencia, Quirumed is principally engaged in the supply of healthcare related products and equipment to an international customer base consisting of medical centres, doctors’ surgeries and other end users throughout Spain and in other countries in Europe. Revenue in the year ended 31 December 2014 was €18 million. Bunzl has also purchased Jan-Mar Sales Limited in Canada. Based in Toronto, Jan-Mar is principally engaged in the sale of cleaning and hygiene supplies to distributors in the region. Revenue in the year ended 31 January 2015 was C$12 million. “The acquisition of Quirumed is an important development for Bunzl as it takes us into the healthcare sector in Spain for the first time, having previously acquired businesses there in the cleaning and hygiene, safety and foodservice sectors. The purchase of Jan-Mar complements our existing cleaning and hygiene business in Canada and strengthens our position in the Toronto region.